PORI Jewelers creates intricate quality pieces with complex crafting skills that will stand out in your collection. * Elegant & Beautiful Piece of Jewelry made to perfection. 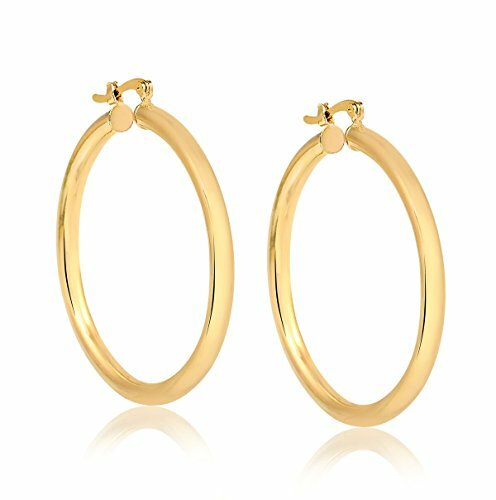 1.2 Grams Solid Gold Gorgeously crafted of 14-karat yellow gold, these stunning Italian design hoop earrings are the perfect classic accessory for any ensemble. A high polish finish and simple saddleback clasps complete these gorgeous earrings. The small size of these hoops are suitable for adults and children.